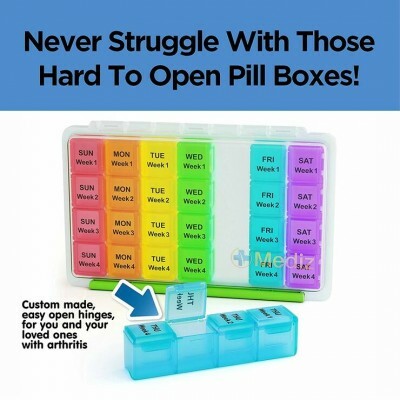 Product Name: Pill Organizer - 28 Days Planner & Easy Open Arthritis Friendly with Travel Case. 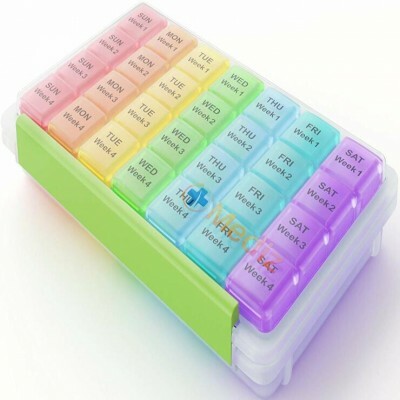 Product description: month daily pill box with easy open compartments, making it very easy for you to open and store all of your pills and supplements. and strived to create a product that removes all of the hassle and frustration of filling your daily pills, especially keeping with Arthritis in mind. 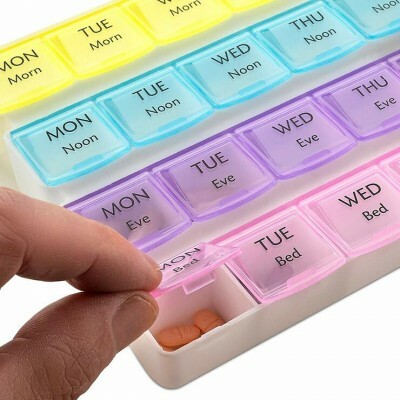 the extra large pill box is used for monthly storage, but can also be used as a 4 week, 31 days, 28 days, weekly, am/pm, and daily pill organizer. include an airtight travel case, making sure all of your pills stay fresh and secure on the road. 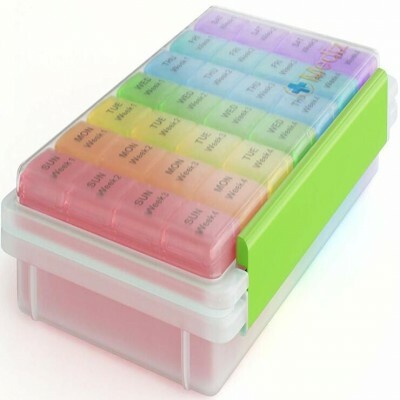 Product Features: Organize a Month of Medication All in One Place. Perfect for travel and on the go. Extra Bright Easy to Spot Translucent Colors. 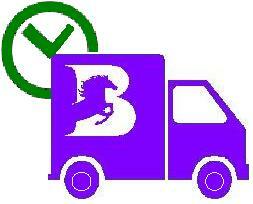 Food grade PP and BPA free. Ideal home health care living aid for the elderly, seniors and all ages.